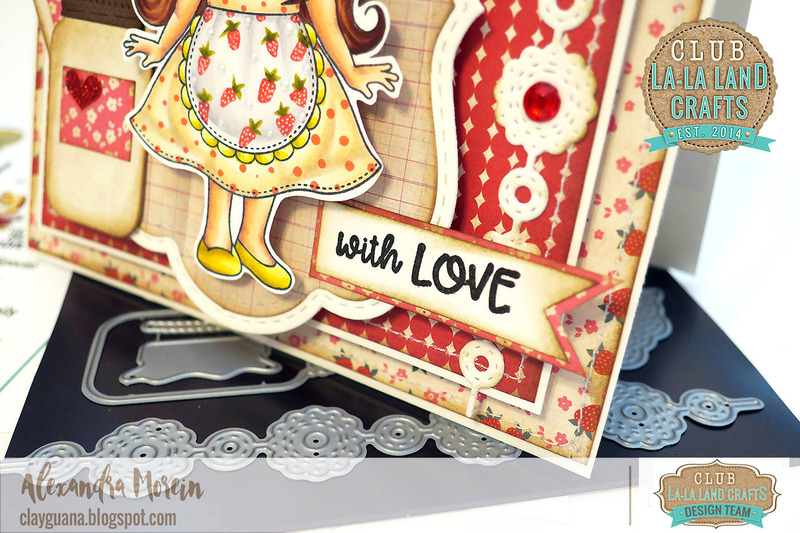 I am here with one more card that I made for the I Am Roses design team. 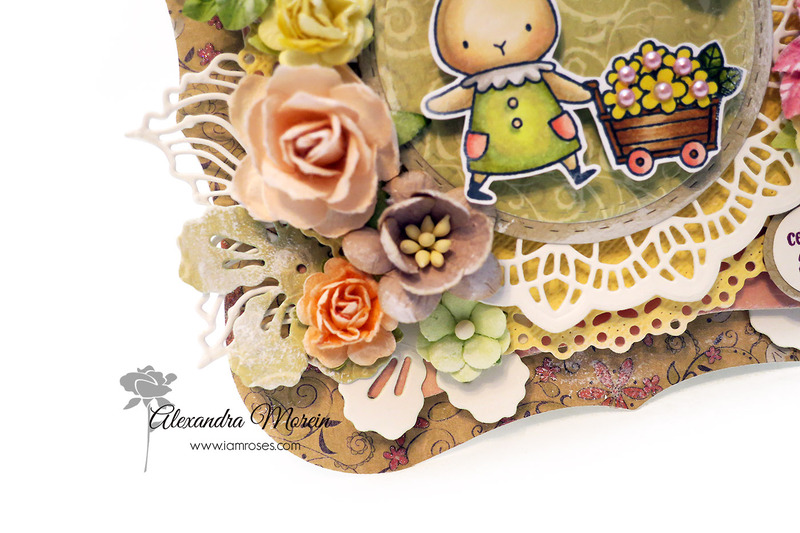 I like how a card (or any other creative projects) gets alive once you add flowers to it! 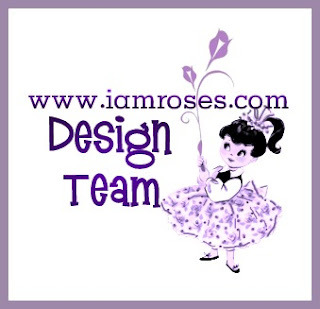 I also like how versatile the colors of the I Am Roses flowers are - so easy to match any possible color scheme. 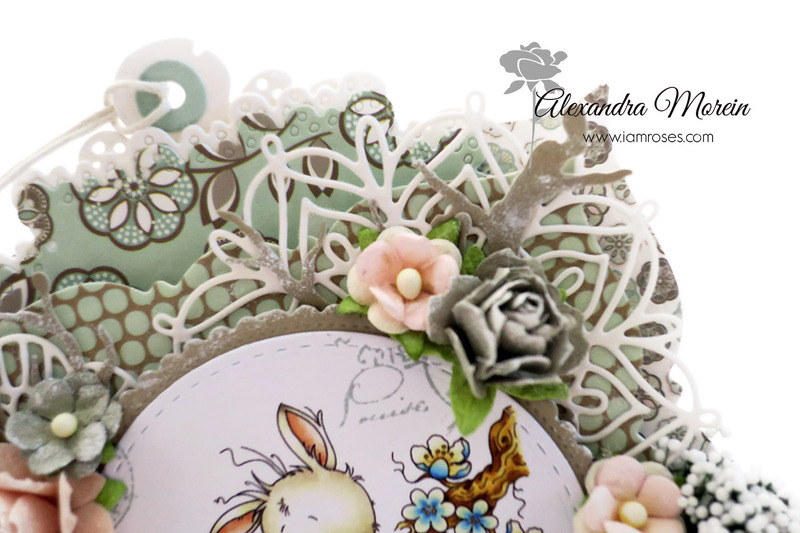 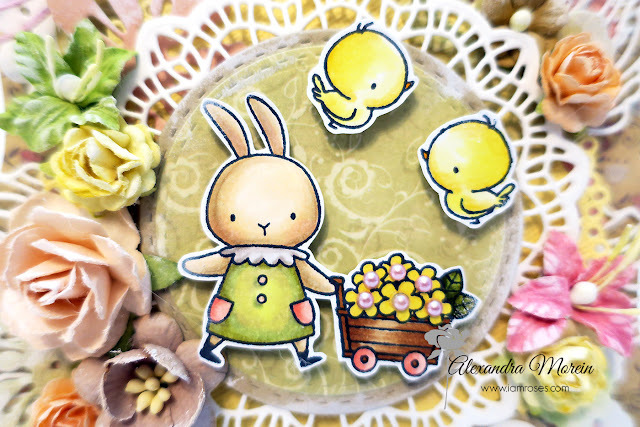 The stamp that I used is by My Favorite Things, from the set called "Somebunny". 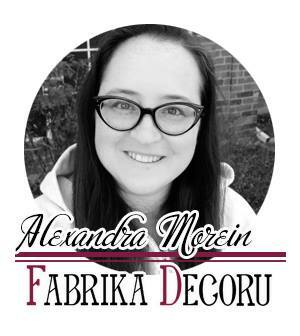 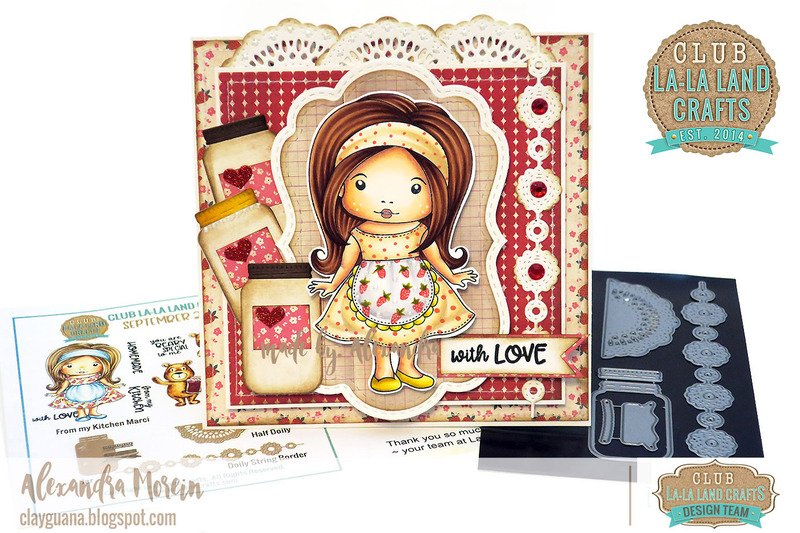 The dies are a mix of Spellbinders, Magnolia, Fantasy, La-La Land Crafts and a few unbranded ones from AliExpress. 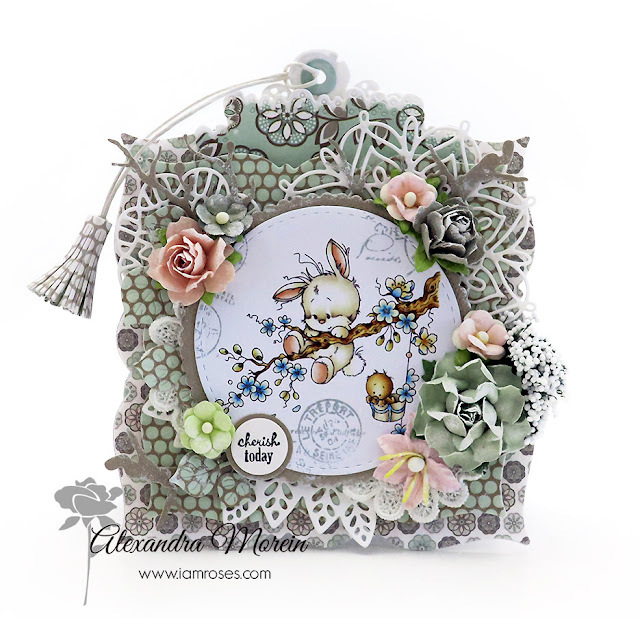 Please do join our monthly Anything Goes Challenge and see you soon! 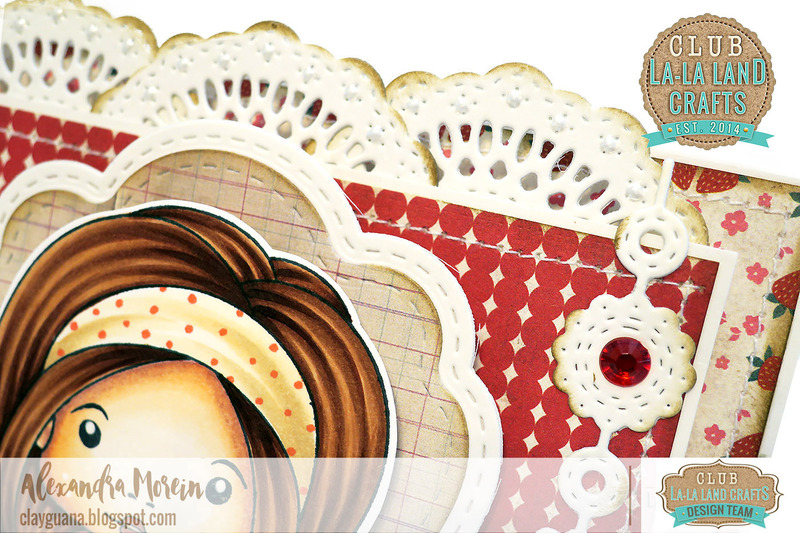 I have two projects to share with you today and one of them will be followed by a tutorial. 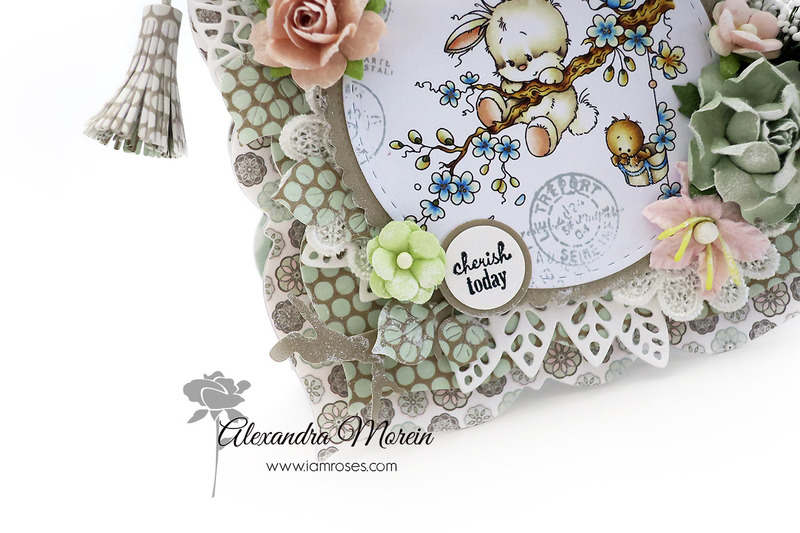 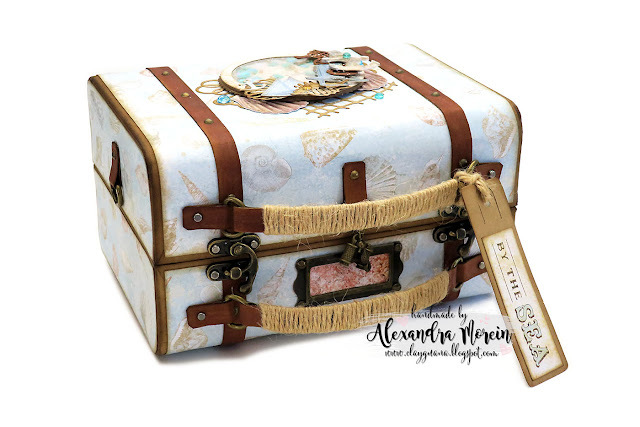 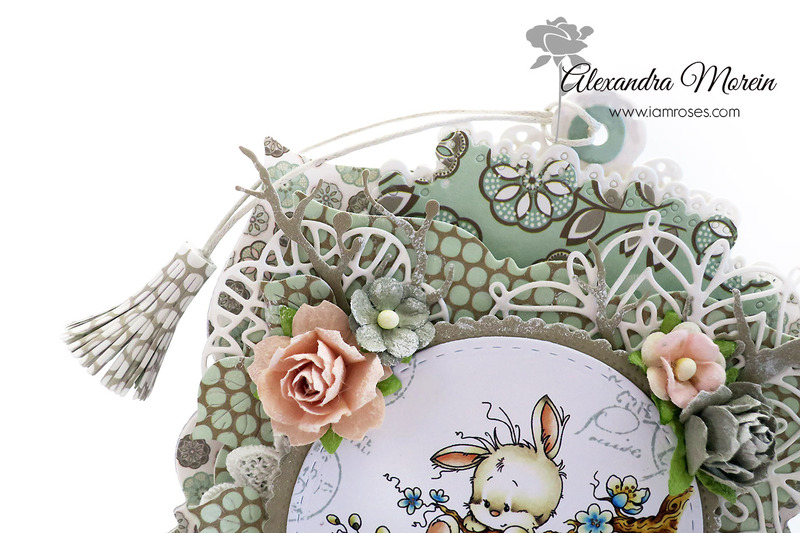 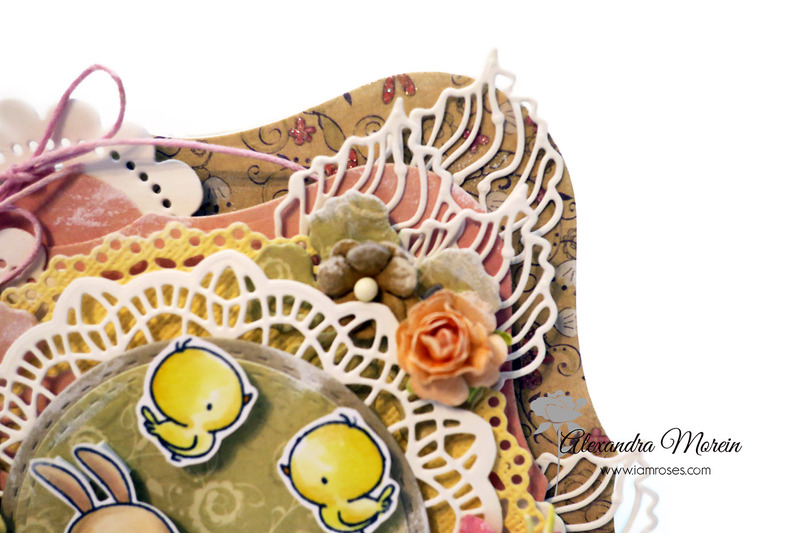 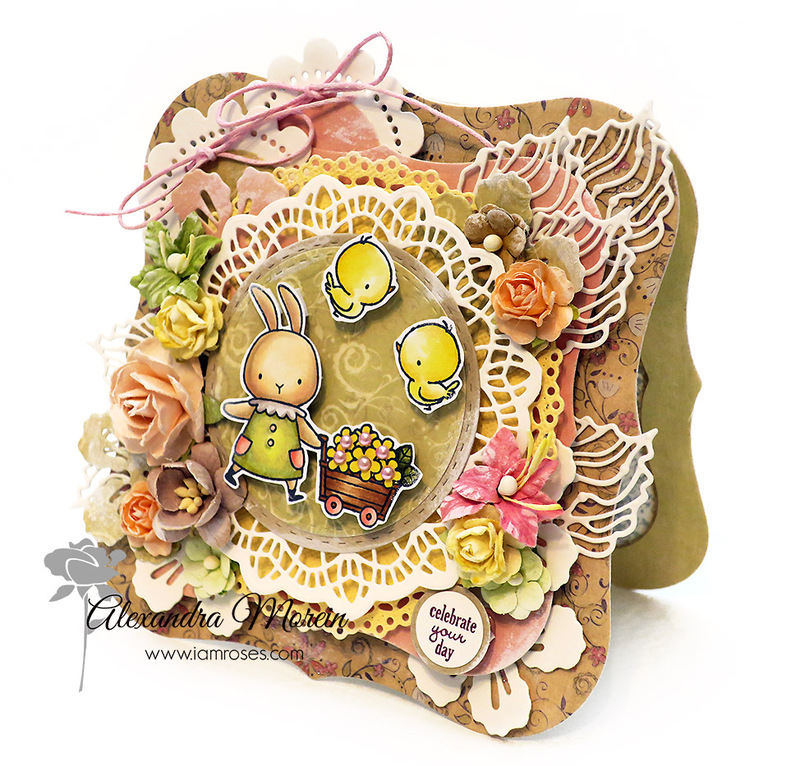 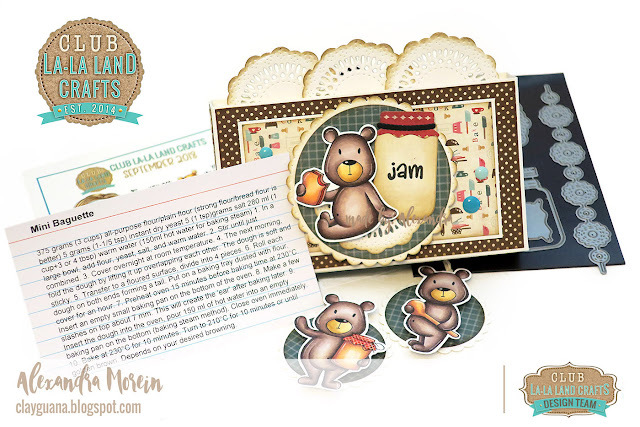 Both of the projects are featuring a super adorable September Club Kit from La-La Land Crafts. 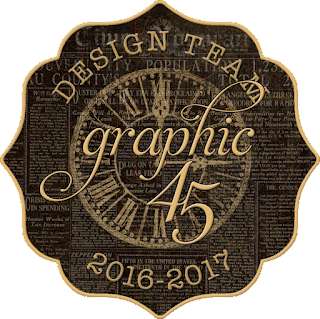 You can find all the details concerning Club Kit subscriptions here. 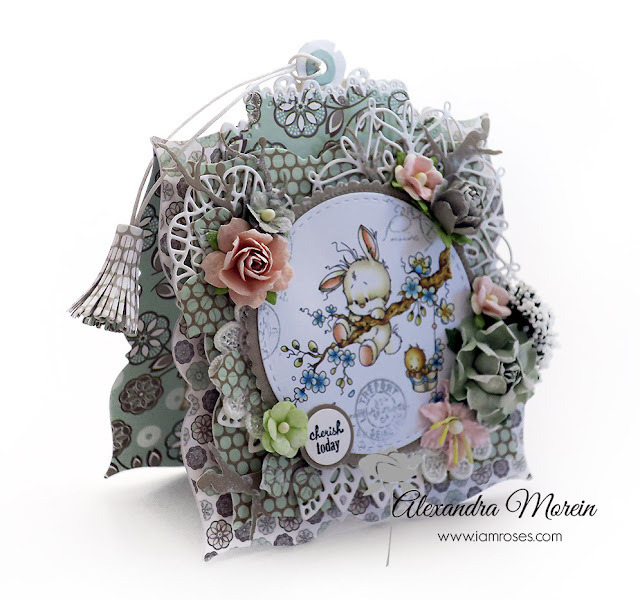 So, first, I have made a card using all the dies from the kit and "From My Kitchen Marci" stamp. 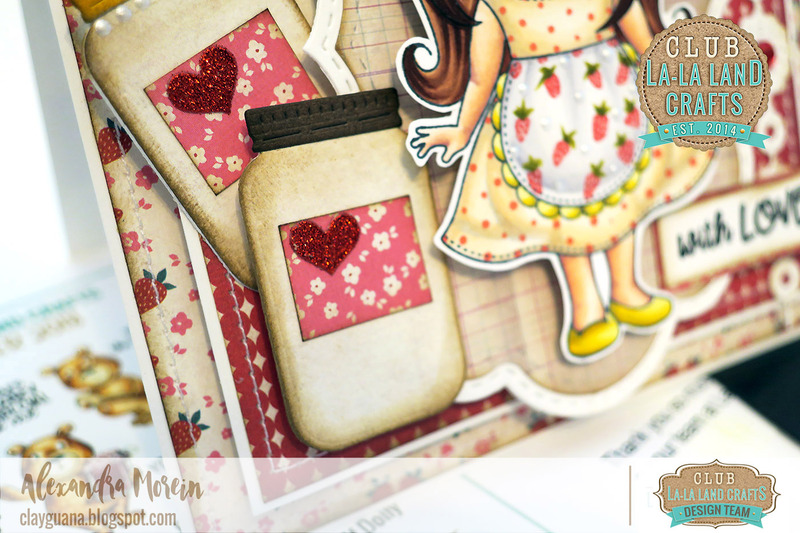 I fell in love with the little doilies, and the cute little jars!! 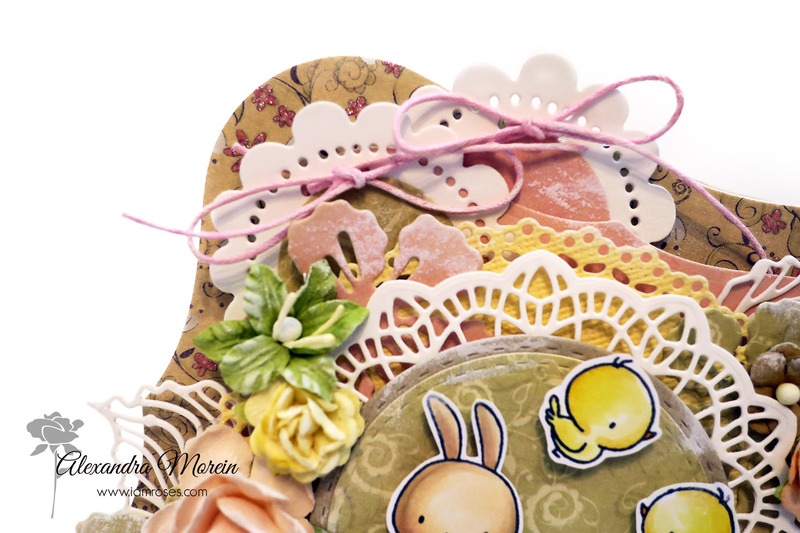 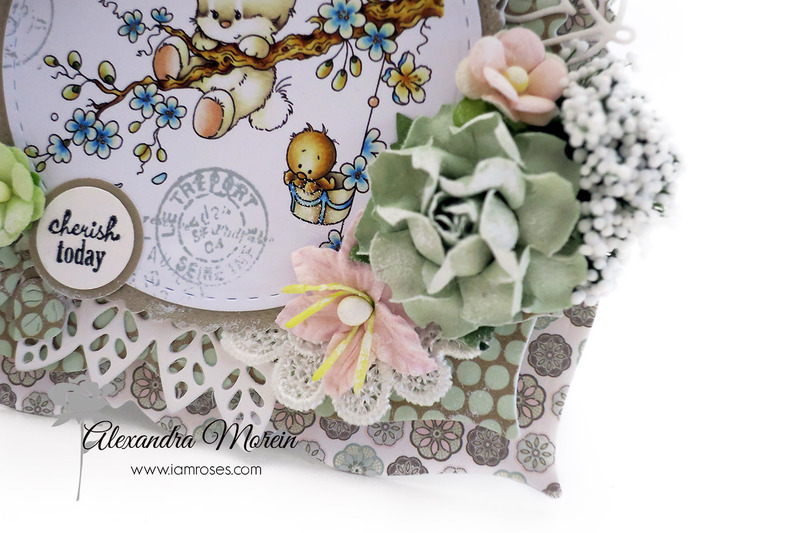 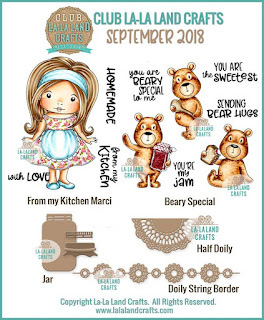 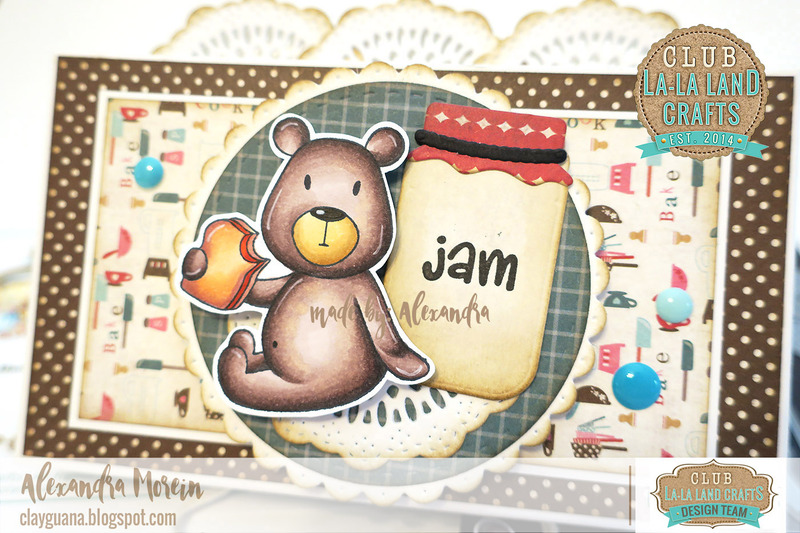 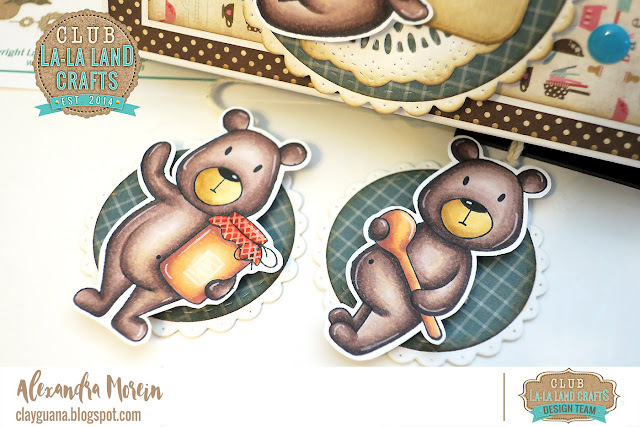 The second project is using the "Beary Special" stamp set from the kit. 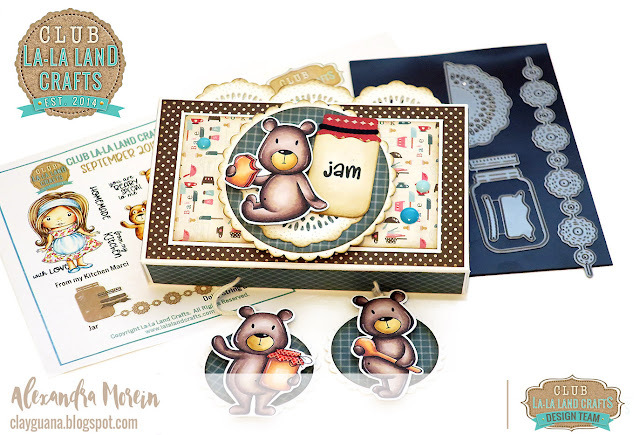 I made a recipe box, which has magnets on the back and can be attached to a kitchen fridge door. 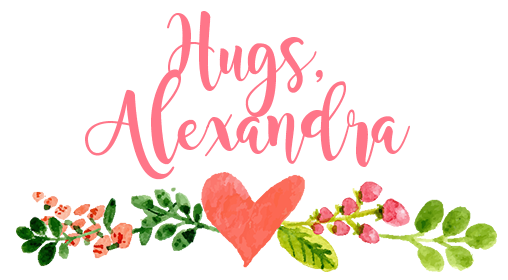 **The recipe of the baguettes was taken from You Tube. Below you can find a video tutorial for creating the recipe box and to have a closer look at the contents of the September 2018 Club Kit.